Thomas W. (Bunker) Fowler was the son of Mrs. Katherine Fowler and was born near Jonesville on May 21, 1834. During his childhood he attended the public schools taught on the outskirts of the present town limits of Jonesville and near Gilead Church, with William Meng his principle instructor. He was the first soldier from the Union District to fall in the War Between the States, being killed at First Manassas. Shortly after the secession of the state, he was employed in the store of D.B. Beardon as a clerk. With the slow means of communication in those days, the climax came when it was learned on April 14, 1861 of the siege of Fort Sumter. On that afternoon Capt. Clark, the conductor of the Southern train from Charleston to Spartanburg got off his train, waving a South Carolina flag and scattering circulars telling of Fort Sumter being fired upon and calling for volunteers. “Bunk” Fowler was one of the first to determine to answer the call of his state and left the next day to join the Pea Ridge Company, 5th Regiment in Charleston. This command remained on the coast for defense until the latter part of May when they returned home. Upon arriving home, the group enlisted in the army of Virginia and were ordered to Virginia in June arriving at Manassas on the 20th of July. On the morning of the 21st of July, 1861, he approached a cousin of his, John D. Long and told him that he had a presentment that he would be killed on that day and that he wished to give him his knife and the $30 in money he had brought with him in order that it might be returned to his mother. So to satisfy the young man, Mr. Long took the possessions and on that day — July 21, 1861 — Thomas Fowler was killed in the First Battle of Manassas true to his presentment. He died in the arms of Dr. Jim Long, who was a private in the same command. “Bunk” came from a family long renown for bravery, being a great nephew of the famous Sergeant Jasper of Revolutionary fame. He was buried temporarily on the battlefield by members of his company. Later his remains were brought home and on November 30, 1861, the funeral was conducted at his mother’s home in Jonesville by Rev. A.A. James. 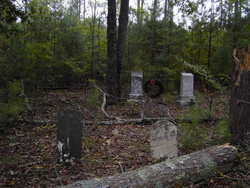 He was buried in Gilead Cemetery, in the presence of an old comrade who had assisted in his first burial — Elias Mitchell. Although on crutches he again assisted in the burial. Not withstanding the bravery of Thomas W. Fowler during the midst of battle, we learn three very important bits of information from the above newspaper article above regarding the ancestry of this fallen soldier. Thomas W. Fowler was son of Mrs. Katherine Fowler. Thomas W. Fowler was employed in the store of D.B. Bearden. Thomas W. Fowler was a great nephew of Sergeant William Jasper. There is no mention of his father in the newspaper article, but there is little doubt that Thomas was the grandson of Mark Fowler and Elizabeth Moseley. The following facts will lend support to this statement. Thomas W. Fowler’s mother was Katherine Fowler. Was she a daughter or daughter-in-law of Mark Fowler and Elizabeth Moseley? Why was Thomas Fowler’s father not mentioned in the article written about his death in the War between the States? Was it because Katherine Fowler was unmarried? It is stated that Thomas Fowler was a great nephew of Sergeant Jasper, a Revolutionary War hero. Sergeant Jasper was William Jasper, born circa 1750 and died in 1779 during the Siege of Savannah. It is thought that he was a son of John Jasper of Virginia, a blacksmith who moved to Union County, SC in the early 1770s. Elizabeth Moseley was the daughter of James Moseley and Nancy Anna Jasper, daughter of John Jasper and sister to Sergeant William Jasper. It is known that Mark Fowler and Elizabeth Moseley’s granddaughter Alpha Ethel Fowler Garner Crawford (daughter of Walter Gaines Fowler) attended the unveiling of the William Jasper monument in Savannah, Georgia in 1888. She was escorted by her cousin Gideon Long, a grandson of Womack Fowler (brother of Mark Fowler). Thomas W. Fowler would be a great nephew of Sergeant William Jasper if his mother were indeed Katherine Fowler, daughter of Mark Fowler and Elizabeth Moseley. Knowing that Katherine Fowler was the mother of Thomas W. Fowler, the presence of Catherine Fowler and Thomas Fowler within the household of Mark Fowler is circumstantial proof of the relationship. Was two year old Michael in the Mark Fowler household of 1850 named after his father Michael/Alex Leonard? If so, was his name later changed to Robert Norris Leonard? In 1860, there were several Thomas Fowlers in the Union County census who could have been Thomas W. Fowler. I eliminated several of them but could never be entirely sure which one may have been young Bunker. Benjamin Dixon “Berry” Bearden was born circa 1827, a son of James Bearden and Cassandra Meaders. He was a postmaster for the town of Jonesville, SC and opened a store there in 1857. He died in 1864, leaving a widow, Sarah, and five young children. The bell in my head clanged loudly as I remembered twenty-six year old Thomas Fowler, clerk, in the 1860 household of B.D. Bearden. Was this Thomas W. Bunker Fowler? Yes. No doubt. Yes! The household next door was that of Catherine Fowler (aged 36 but probably should read 56) and Robert aged 12 and Leonard aged 10. Was this Catherine, daughter of Mark and mother of Thomas W. Fowler raising the two younger sons of her deceased sister Huldah Fowler Leonard? Probably. A careless census taker perhaps wrote down the incorrect age for Catherine and was perhaps confused over the names of George and Robert Leonard. Thomas W. Fowler’s name was added to the Union County census on July 25, 1860. Less than one year later –July 21, 1861 — this brave soldier was shot through his body by a round ball on a battlefield in Virginia. Thomas W. Fowler crossed the eternal river an hour later. Thomas W. Bunker Fowler was a son of Union County, and it is there where he was laid to rest one hundred and fifty-seven years ago. He will not be forgotten. Thanks for the information. Still not sure who was my Grandfather John’s Father was. Hi Harlen…………..thanks for the comment! Just sent you an email……………….